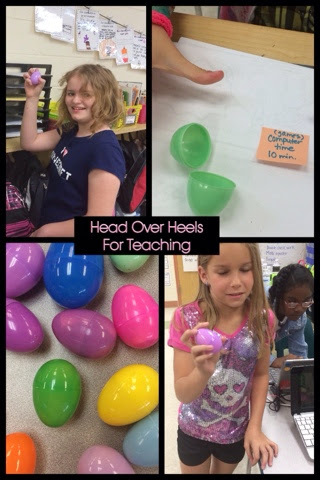 Head Over Heels For Teaching: Spark Student Motivation: Eggcellent Ideas! Let's share some ideas to help us stay positive through the end of the year! 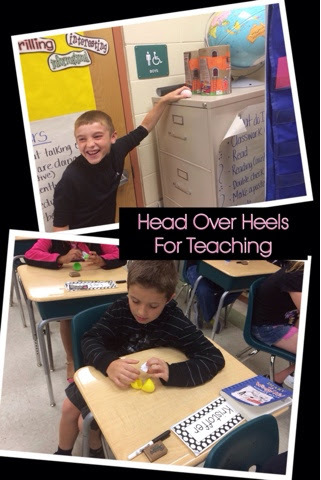 I had to create fun and creative ways to get them excited about reviewing and doing test prep, so I used Easter Eggs! I cut up test prep questions and placed one in each egg and hid them around the room while they were at lunch (I'm a Ninja like that). 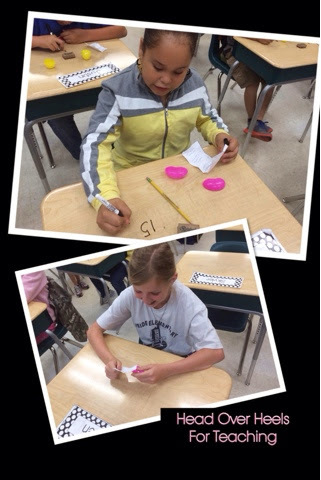 Each student had to find one egg and return to their seats to solve the problem. Then the partner sitting next to them had to come over and solve their problem to make sure they got it right (answers were on back to self check). It's funny how doing math problems out of an egg is more fun than out of a packet!! :) Do you see the smiles?? I had something different in every egg and all prizes were little or no cost (less than $3 total!). I wrote all the prizes on Post-its, so they all felt the same weight, and not all prizes would fit! Full size candy, homework pass, skip an assignment, use pen and stamp pad all day, lunch with the teacher, 10 tickets, free draw, prize box, etc. The students below won sit next to the teacher, Scan to Win, and full size candy. The young lady who won sit next to me is so excited for Monday (isn't that the sweetest?)! Such a simple prize, but very appreciated!! I'm sure some kids would rather have a full size candy, but this egg fell into the right hands! I know Easter will be over when you go back to school on Monday, but I PROMISE you, there's NO student who would mind if you wanted to have an egg hunt for review or prizes after Easter!!! Plus, all plastic eggs and candy will be on CLEARANCE Monday! I wanted to share the following idea in case you wanted to try this idea at home tonight! I started this in my neighborhood a few years ago when some of our neighborhood kids were getting too old for the traditional Easter Egg Hunt on Sunday morning. We have a Nighttime Easter Egg Hunt where they hunt for eggs with their flashlights! They love it and think it's the coolest ever! I've seen glow in the dark eggs that you could use too! Puts a fun twist on the traditional egg hunt and makes it exciting for ALL AGES! If I had had my act together, using plastic eggs for a fun activity would have been awesome! (Unfortunately, I was out of the classroom two days last week for a meeting.) I may have to visit Target on Monday to pick up some of those eggs for an after-Easter egg hunt. It looks like your kiddos had such a blast! I love that you included "experiences" like sitting next to you. Those are the BEST prizes! Happy Easter, friend! I am recycling all the eggs my four year got at his school Easter egg hunt and using them on Monday! Can my kids move into your neighborhood? First showdown for state testing and now flashlight egg hunts, super impressive!!! I love the idea of making test review a little more pleasant! We have our reading test all week next week, and the math test is the following week. I may use your idea to review for the math test. :) Thanks for sharing! You are simply a genius! 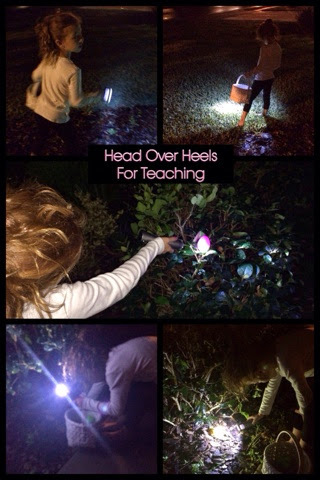 A night time Easter egg hunt with flashlights! Test review using plastic eggs! LOVE IT!!!! I just read your comment on my post and I thought HEY I should link up today! I have never had the chance to link up before...but really today was the day! 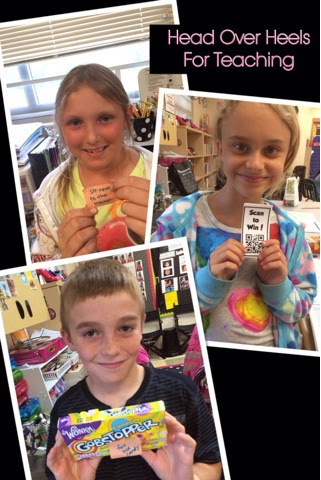 I can see you and I think alike, lots of goodies keep fun times flowing in the classroom! Thanks for commenting today on my blog and giving me motivation to come and link up with yours! Hope you have an "eggcellent" easter weekend! I love this idea. I'm not allowed to celebrate Easter at my school, so doing this after Easter would simply be an egg hunt (which should be fine). My testing is Wednesday (reading) and Friday (math) this week. I'd like to try and squeeze this in one day. Thank you, as always! Night time egg hunts! I would do that--I'll have to try that next year for my girls. They'll go wild. What a great idea and yes, your students would love egg hunts in September. These ideas are just great. The nighttime egg hunt looks like so much fun! My boys would love it. Thanks for sharing. :) Happy Easter!